It’s not a secret that Las Vegas tourism and the state’s gambling industry has been in a state of decline for some time. The general tourist knows this from the amazing hotel deals that exist that only seem to get better year after year as these hotels are pulling out all the stops to getting more visitors. Some of these reasons for any decline might be obvious and some are more recent. Either way these 6 reasons will help shed light on what’s currently affecting Las Vegas and the state’s gaming revenue as well as the future of the city. Did you know that many land based casinos are opening all around the world? With more casinos becoming more local for some people, the incentive for travelings to go to Las Vegas becomes less appealing. If you like to gamble and the nearest casino is now within an hour’s drive while Vegas might be a few hours flight, which would you choose? People like convenience and certainly driving an hour versus flying is going to cost less. 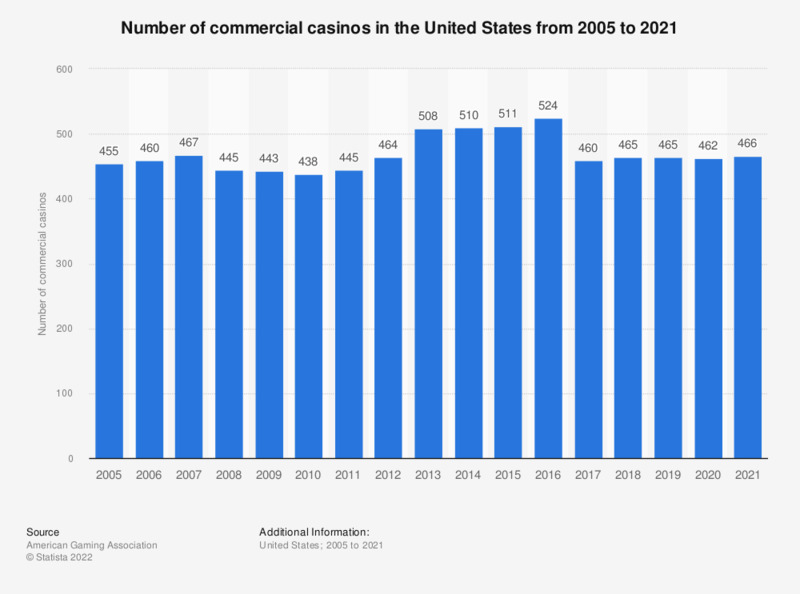 So yes there are many examples of famous casinos and resorts closing but this probably has to do with the decline in gamblers traveling that come from outside of their normal jurisdiction. This all results from gambling getting closer and closer to home whether that person lives whether in the United States, Canada or anywhere else in the world. According to Statistica the number of land based casinos in the US has gone from 455 in 2005 to 510 in 2014. So what does more casinos mean for Las Vegas? It means more revenue potential being moved away from Las Vegas. It’s not just possibly less Americans coming to Vegas but the whales that used to come over from Asia now have more local places to play. The gross gaming revenue by Macau in 2017 was a whopping $33 billion. Macau is roughly the same size as Las Vegas and is 40 miles (64 kms) away from Hong Kong and it’s fairly easy to get to. For those that have been to both Macau and Las Vegas they will say that Macau takes the hospitality and wow faster to a whole new level. In 2010, 2 major casinos opened in Singapore which were the Resorts World Sentosa and the Marina Bay Sands. They have over 1500 and over 2500 rooms respectively. These casinos might not have the razzle and dazzle of Vegas and Macau but they are well executed casinos that are new and gamblers seem to be impressed with both locations. Singapore with it’s 2 standalone casinos more or less equal the revenue that is brought in by Las Vegas. Singapore certainly attracts another set of Asian gamblers and tourists from around the world. It’s very difficult to compare online gambling vs land based gambling. For starters for those that like to play table games especially blackjack, it’s frustrating to encounter games where the casino has made the payouts worse. So in the case of blackjack having blackjacks payout 2:1 is better than 3:2 which we are seeing far too often. Even for video poker we are seeing games paying worse than 9/6 jacks or better for land based casinos where it’s almost standard to find 9/6 JOB video poker. Believe it or not, some casinos even offer 6:5 blackjack, that’s just insulting! If online gambling wasn’t enough, what about mobile gaming? Many online casinos are reporting that over 70% of their players are playing on their mobile phones. Phones are basically with us 24/7 and if we are in transit, it’s another opportunity to gamble. On the flip some some are saying the tourist numbers are starting to return back to normal as time heals. If we have a look at Google Trends we can see that Las Vegas as a keyword spiked in October but shortly after there was a noticeable decline in travel and tourist related keywords. On the flipside there was an increase in searches for flights but at the end of the day, the casinos and hotels will tell you the numbers don’t lie. The charts below are for Google Trends over the past 5 years. Could Donald Trump’s policies by pushing away more foreign tourists? In a recent article by NBC News published Jan 23rd, 2018, they say that there has been a 3.3 percent drop in travel spending and a 4 percent decline in inbound travel. Even before the shooting in Las Vegas, the city was already experiencing a decline in tourists. This is all happening under Trump’s watch and people have to wonder if this is a stuttering economy holding people back from traveling or if this is a result of foreign tourists considering not traveling to the US at all. Other possible reasons for Las Vegas slumping? That game at the Venetian is referred to as Sands Roulette.